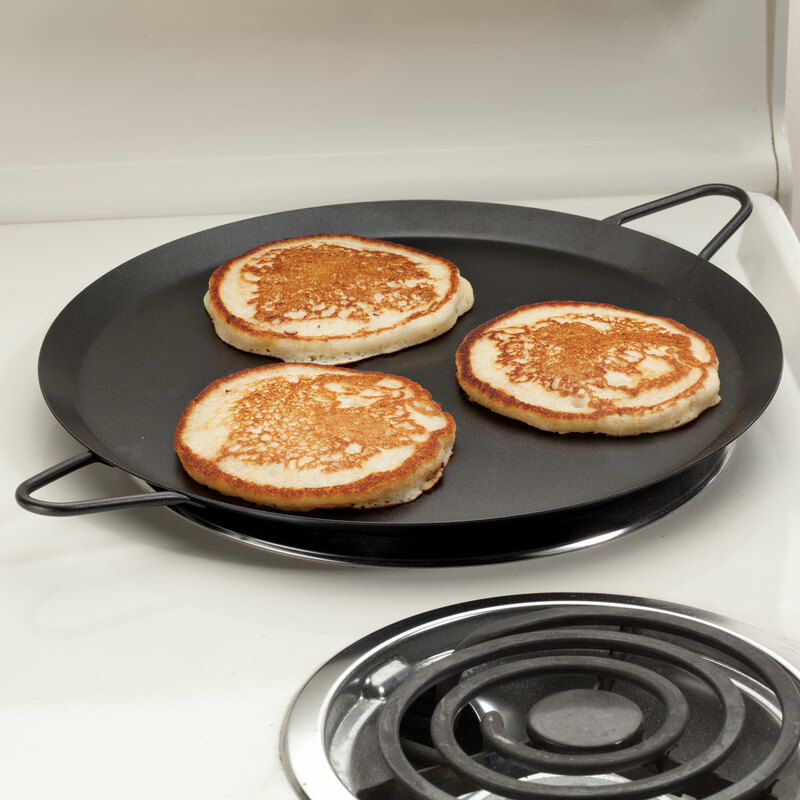 This is a great size and easy to clean griddle ! It stores nicely in a small space. I am a gadget, dishes, pots and pans aholic! Easier with out 3" sides, and flat to turn pancakes! Aside from the usual breakfast items, this looks like it would work well for homemade naan bread, greek pita bread and homemade flour tortillas. It also looks like it would be easy to store since it doesn't have a long handle. I need a new griddle. 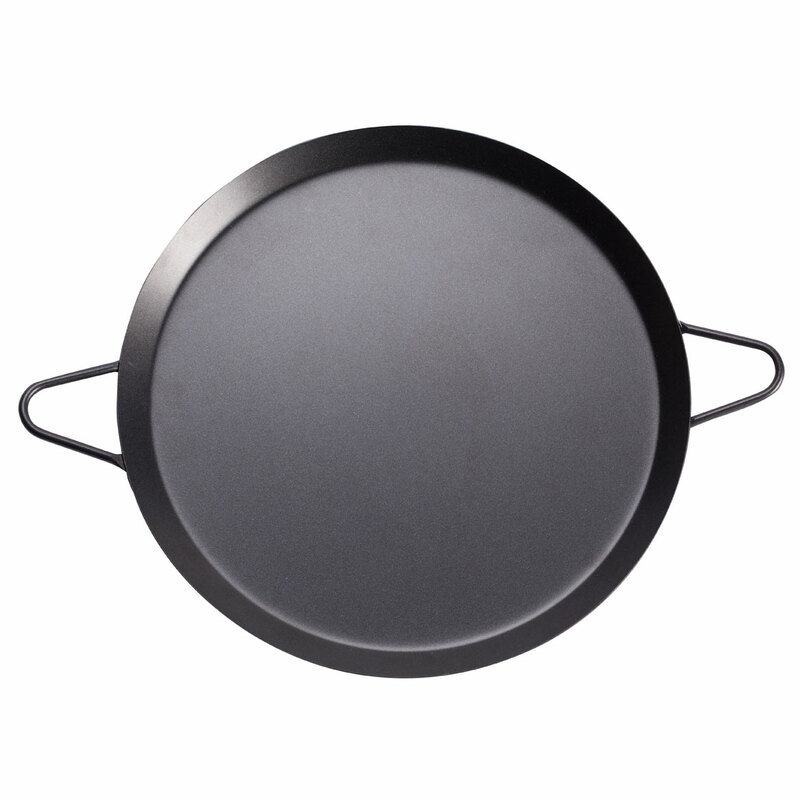 I been looking for a Non Stick 11" Griddle. I received my Miles Kimball (summer edition 2017) Catalog and was I pleased to find the Non Stick Griddle was in there. It me so happy! Now I can cook all kinds of foods in the Griddle, such as pancakes & meatballs and Sauteing veggies & other foods can also be prepared in the Griddle. What so important to me is, I don't have to worry about my food sticking to the pan. This Griddle is so amazing! I figured this would be good to use for camping. Can I use this on a gas stove? BEST ANSWER: Thank you for your question. Yes this can be used with a gas stove. We hope this information will be of help to you.